As we all know that today SSC has declared marks of SSC CHSL 2015 Tier 2 (Descriptive) Paper. In this post we are sharing Rank List of same. You may download it from the link provided below. 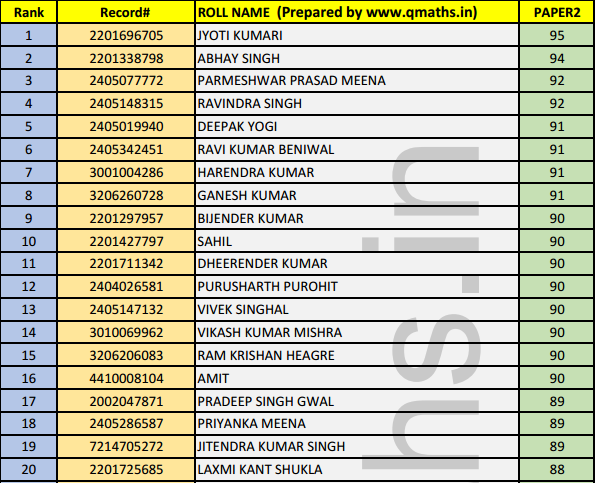 Combined Rank List of CHSL (Tier 1 + Tier 2) Cannot be prepared as this has not been given in Tier 2 marks, which is given in CGL markslist, Still Team QMaths is trying to prepare combined Ranklist. It has been seen that HINDI medium students have scored more compared to ENGLISH medium.